We provide window replacement for homes and businesses throughout the greater Houston area. 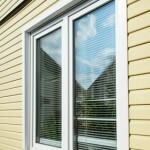 Reliant Construction will install any type of window you would like, at any size. Having properly fitting and insulated windows is very important in Houston, where temperatures can reach an excess of 100°F in the summer. Most clients experience immediate reductions in cooling bills during the summer as well as a more constant temperature in their home year-round when new windows are installed. During the winter months, heating bills are reduced and many clients report a reduction in “draftiness” due to inferior windows. Some clients even say their homes are easier to keep clean after their window replacement because the higher quality windows allow less dust to enter their homes. In Houston, hurricanes and other inclement weather are a common occurrence. It is important that homes have storm windows installed to protect your home from storm damage. Whether you are looking to update your windows to lower your energy bill, improve temperatures in your home, or simply to update the look of your home, Reliant Construction guarantees a quality result that you will love. Learn more about storm windows here.